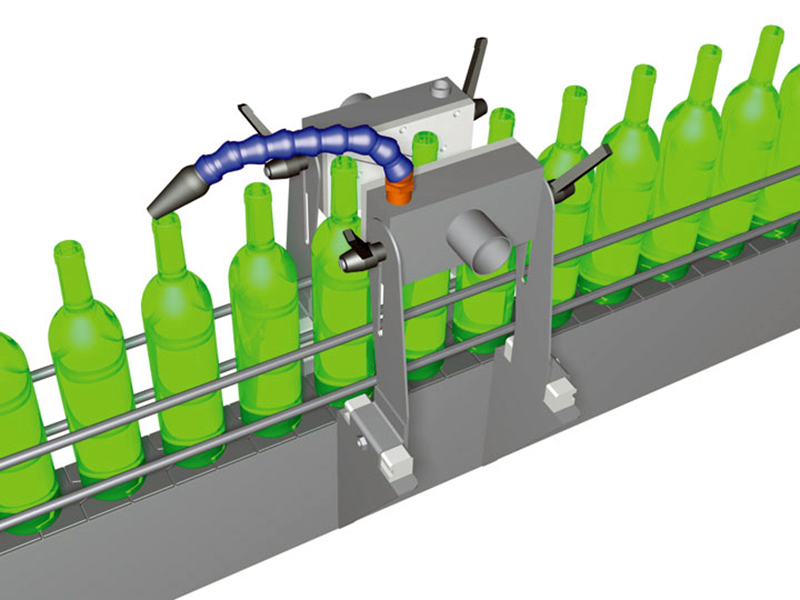 The Bottle Neck Dryer is specifically intended for the drying of wine bottle necks so that labels will adhere effectively. The design comprises of two stainless steel plenums, with a Jetplate discharge made from PE1000. Each plate has two slots of 100 x 1.5mm and a pre-determined slot pattern, allowing air to remove liquid from the product. The brackets that are supplied with this unit also allow for easy movement and adjustment. 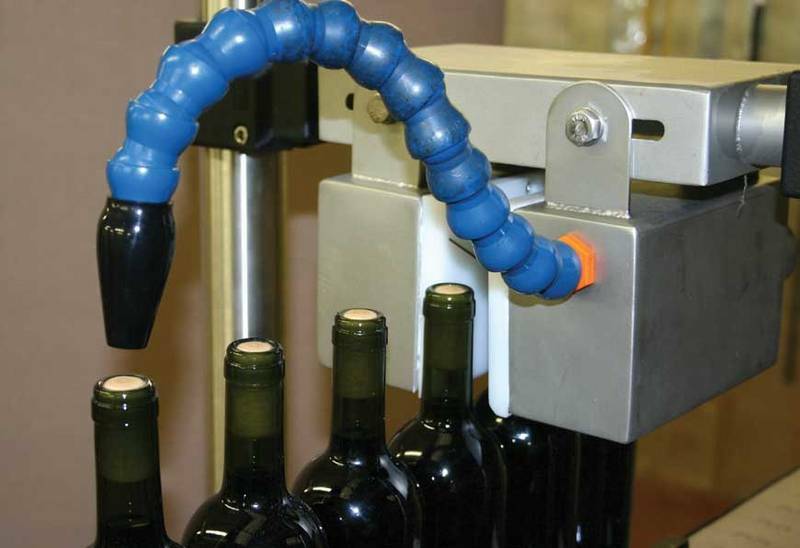 The Bottle Neck Dryer fits over existing conveyor guide bars so no modification required. This unit can be adjusted to suit various sizes of products by modifying the position of the supplied brackets. Almeco can also execute the maintenance on your product or installation to keep it running smoothly and extend its working life. Do you want to test out these drying solutions on your specific product? We can conduct drying tests in our specialized lab and also offer the opportunity to rent a test installation.